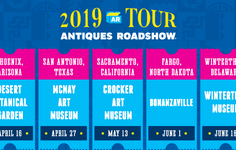 At the 2007 ROADSHOW event in Orlando, Cecil Stoughton shared his memories and photos of President John F. Kennedy and President Lyndon B. Johnson. Lyndon B. Johnson took the oath of office as the 36th U.S. President aboard Air Force One on November 22, 1963, just hours after President John F. Kennedy's assassination in Dallas. The iconic photograph of the swearing-in was taken by Kennedy's official White House photographer, Army Capt. 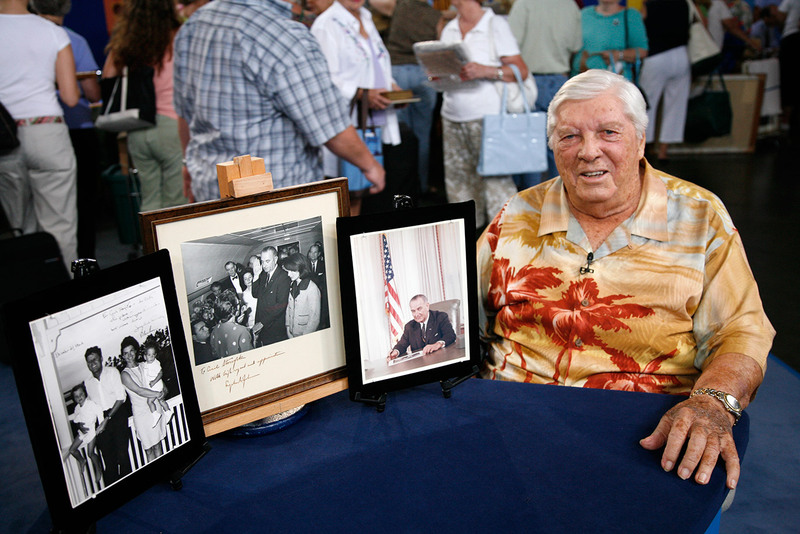 Cecil W. Stoughton, who brought his own signed copy of the photo to the Orlando ROADSHOW on June 30, 2007. 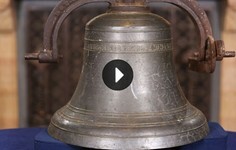 See more of Stoughton's personal collection below. Cecil Stoughton with a selection of his photos at the Orlando ROADSHOW on June 30, 2007. 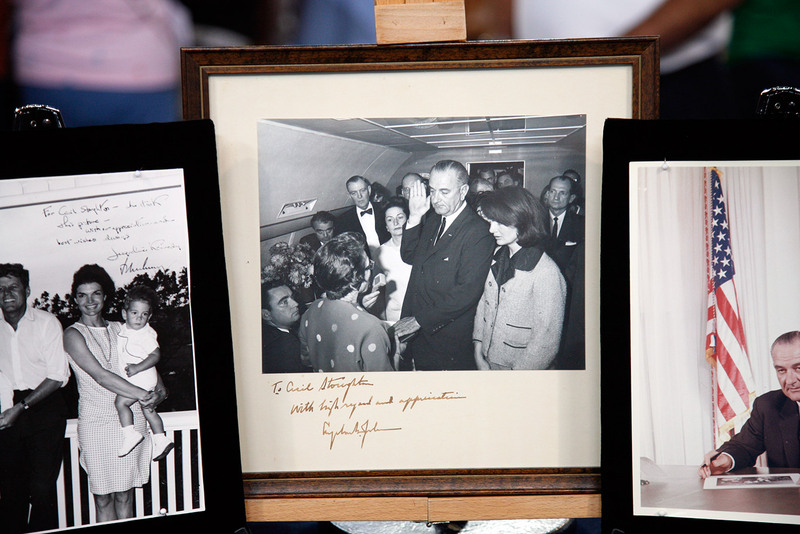 Appraiser Francis Wahlgren said the inscribed LBJ swearing-in photo and the Kennedy family Christmas photo have the most value as historic pieces, and though they are actually irreplaceable, he estimated a value of $75,000 for the pair. (Photos and letters from the collection of JFK's White House photographer, Cecil W. Stoughton.) The iconic swearing-in photo captures more than a dozen people crowded within the plane as U.S. District Judge Sarah T. Hughes administers the oath. 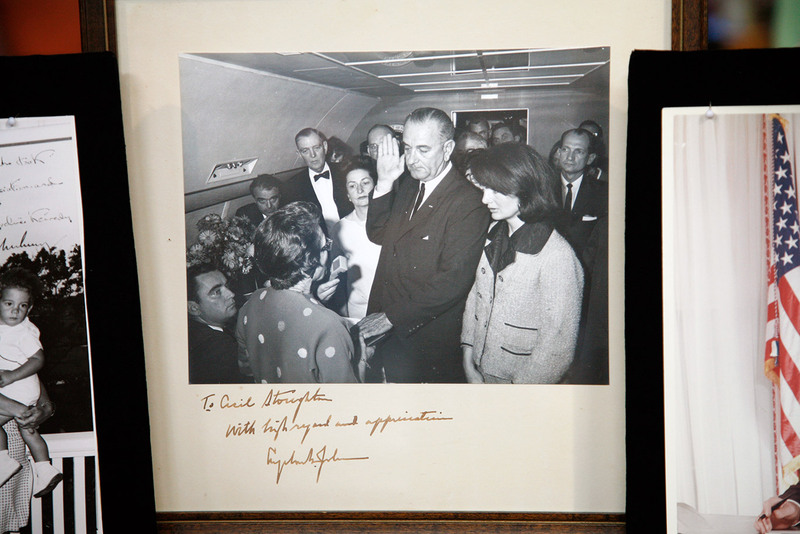 On Johnson's left is JFK's widow, Jacqueline Kennedy, and to the right of his upraised hand is his wife, Lady Bird Johnson. To her right, wearing a bowtie, is Texas Congressman Albert Thomas, and beside him is Jack Valenti. The man behind Mrs. Kennedy's left shoulder is Texas Congressman Jack Brooks. (Photos and letters from the collection of JFK's White House photographer, Cecil W. Stoughton.) The inscription on Stoughton's photograph reads "To Cecil Stoughton with high regard and appreciation. Lyndon B. 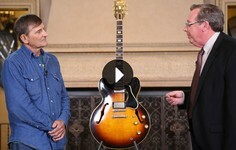 Johnson." (Photos and letters from the collection of JFK's White House photographer, Cecil W. Stoughton.) On November 28, 1963, three days after President Kennedy's state funeral, Stoughton recalls that he was summoned from his family's Thanksgiving table by President Johnson, who wanted him to take his photo. 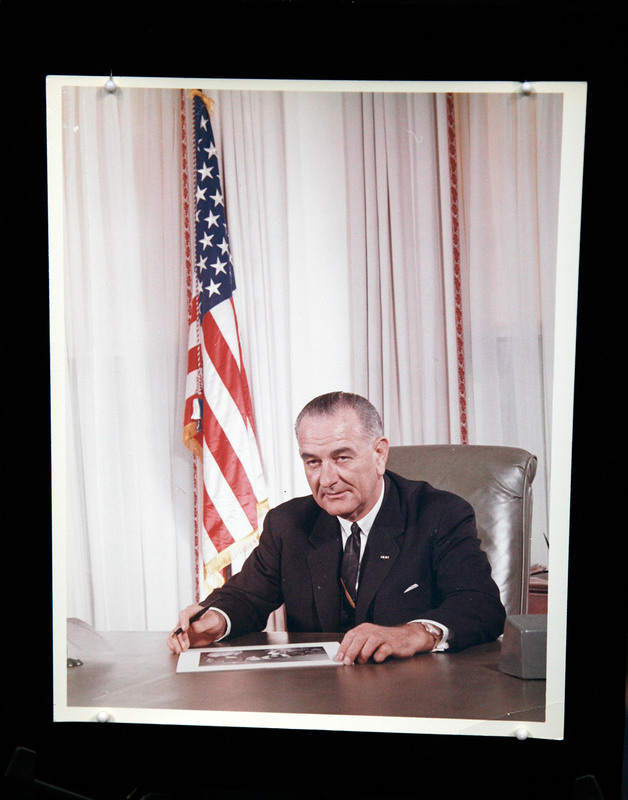 The image Stoughton took shows the new president at his desk in the Oval Office, signing a print of the now famous swearing-in photo Stoughton had made aboard Air Force One barely a week before. (Photos and letters from the collection of JFK's White House photographer, Cecil W. Stoughton.) 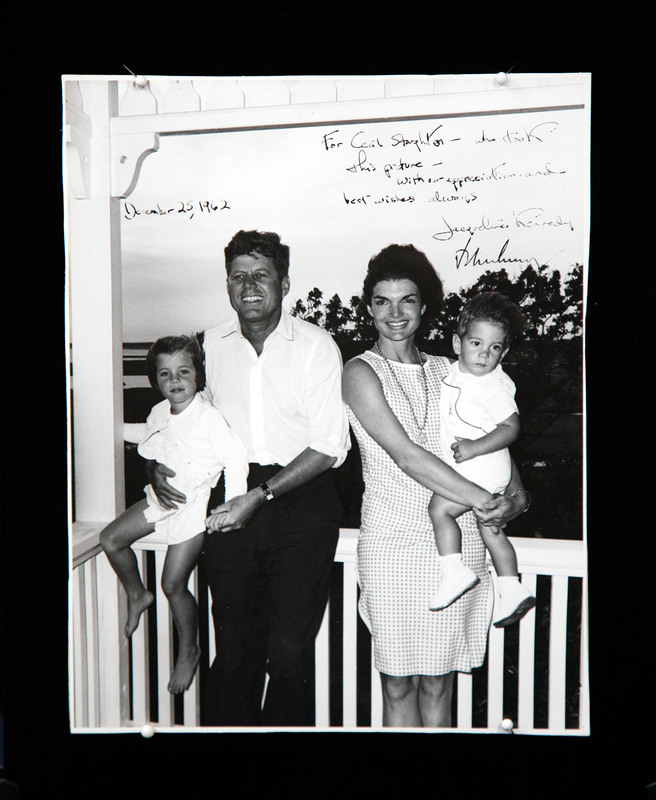 Stoughton said he received this inscribed photo from the Kennedys as a gift upon returning from their 1962 family Christmas trip to Palm Beach, Florida. 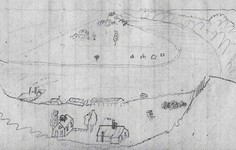 The photo had been taken by Stoughton in August that year in Hyannis Port, Massachusetts. 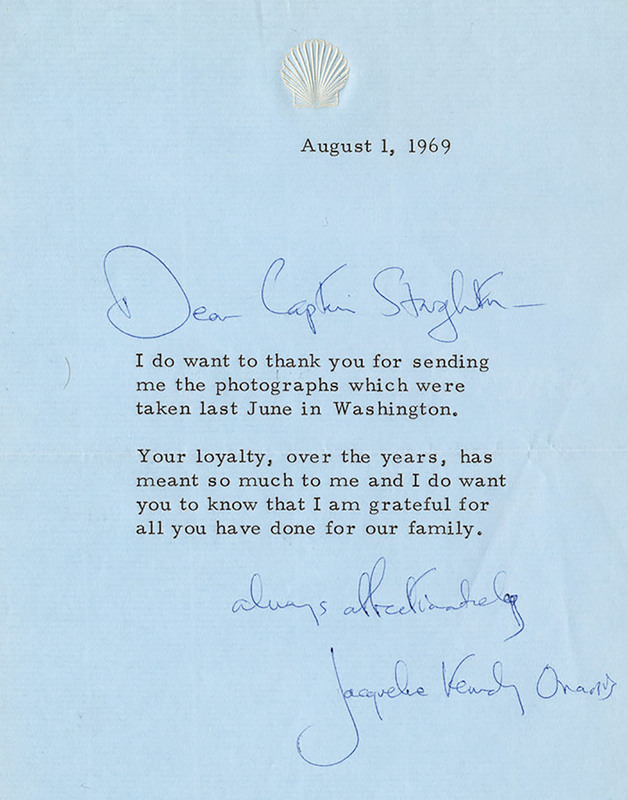 The inscription, personally signed by both President and Mrs. Kennedy, reads "For Cecil Stoughton — who took this picture — with our appreciation and best wishes always." (Photos and letters from the collection of JFK's White House photographer, Cecil W. Stoughton.) 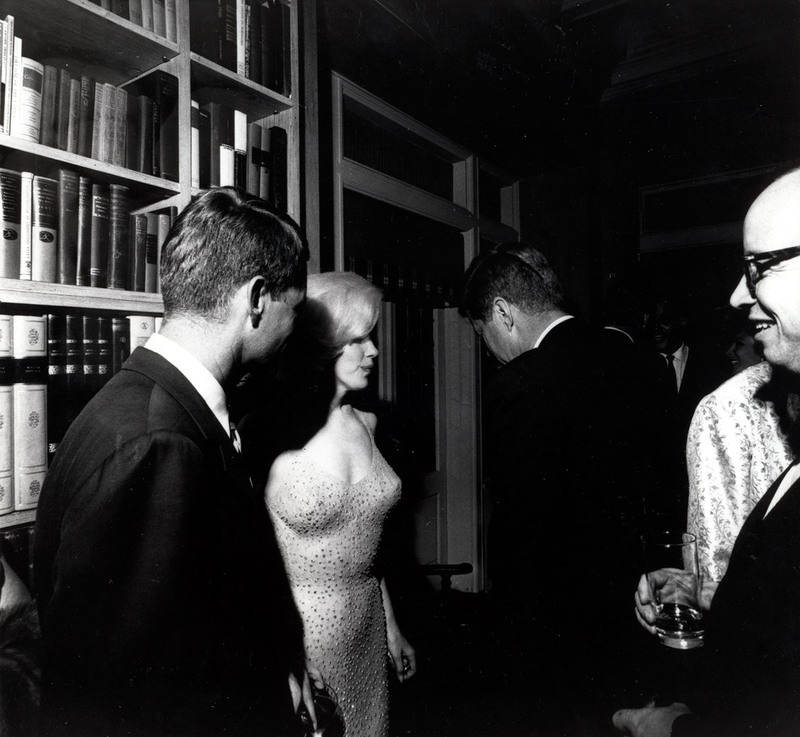 On the evening of May 19, 1962, Stoughton took this intriguing photo of President Kennedy (with his back to the camera), his brother Robert Kennedy (far left), and actress Marilyn Monroe. The occasion was JFK's 45th birthday celebrations at Madison Square Garden in New York — when Marilyn delivered her immortal "Happy Birthday, Mr. President" performance. Stoughton said he believes this is the only time that JFK, RFK, and Marilyn were captured together in one picture. (Photos and letters from the collection of JFK's White House photographer, Cecil W. Stoughton.) 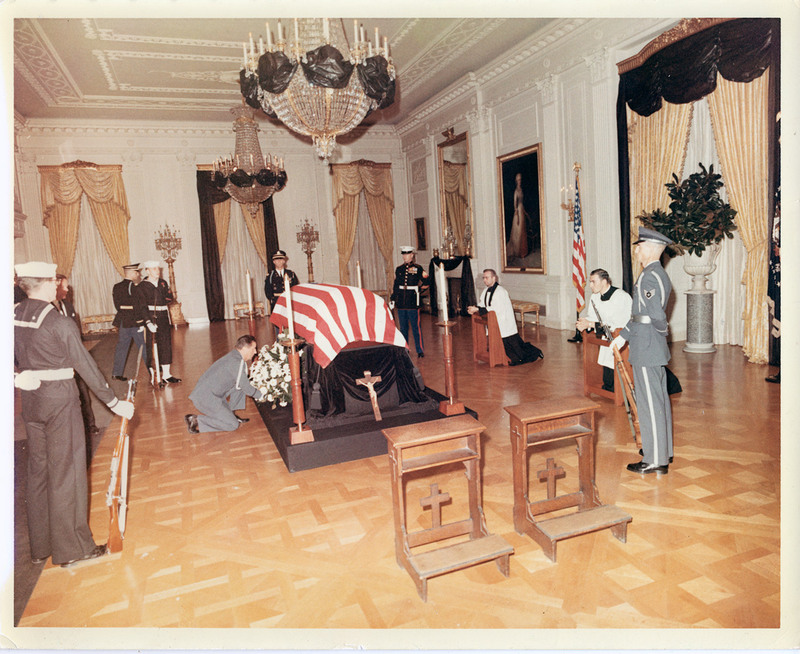 On November 23, 1963, after President Kennedy's body was returned to Washington from Dallas, his casket was placed in the East Room of the White House for 24 hours, and was then transported to the Capitol to lie in state prior to the funeral on November 25. (Photos and letters from the collection of JFK's White House photographer, Cecil W. Stoughton.) 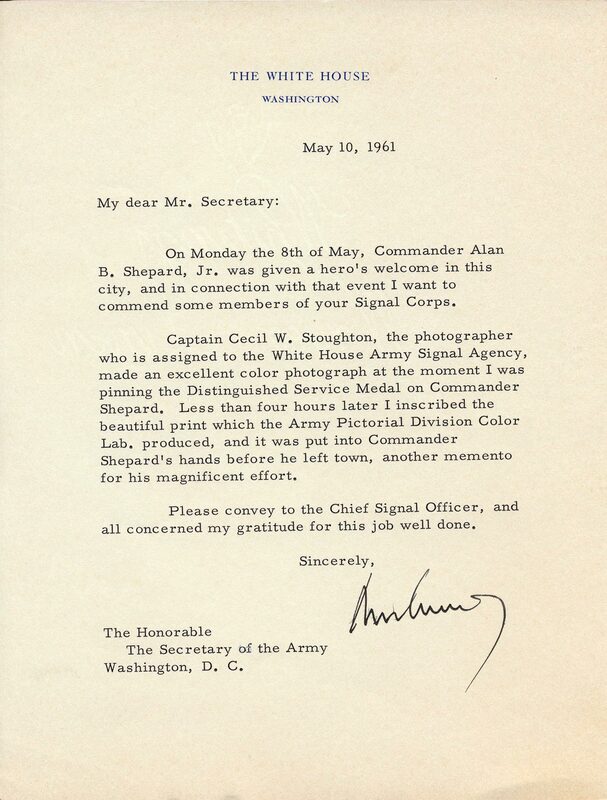 In this letter, dated May 10, 1961, President Kennedy wrote a letter to the secretary of the army, Cyrus R. Vance, commending Captain Stoughton, among others, for the part he played in a ceremony honoring astronaut Alan B. Shepard, Jr., who on May 5 had become the first American to travel into space. (Photos and letters from the collection of JFK's White House photographer, Cecil W. Stoughton.) 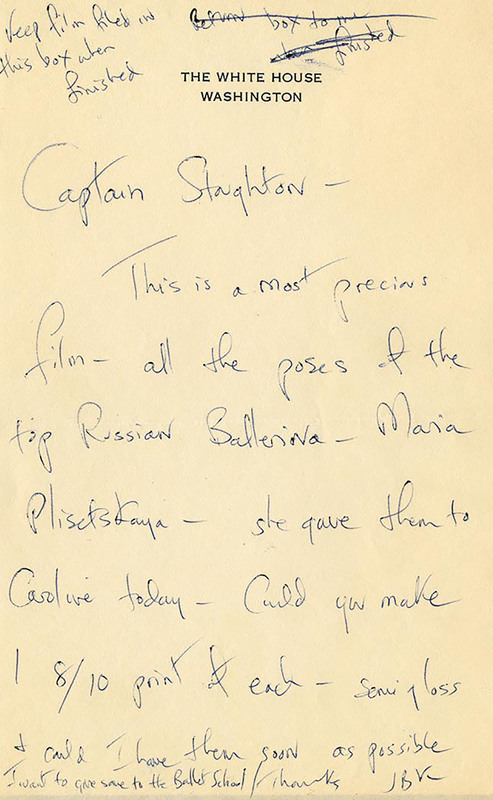 In this undated, handwritten note on White House stationery, initialed "JBK" (Jacqueline Bouvier Kennedy) at the bottom, Mrs. Kennedy asks Stoughton to perform a few tasks related to copying some photographs given to Caroline Kennedy as a gift by the Russian ballerina Maria Plisetskaya. (Photos and letters from the collection of JFK's White House photographer, Cecil W. Stoughton.) 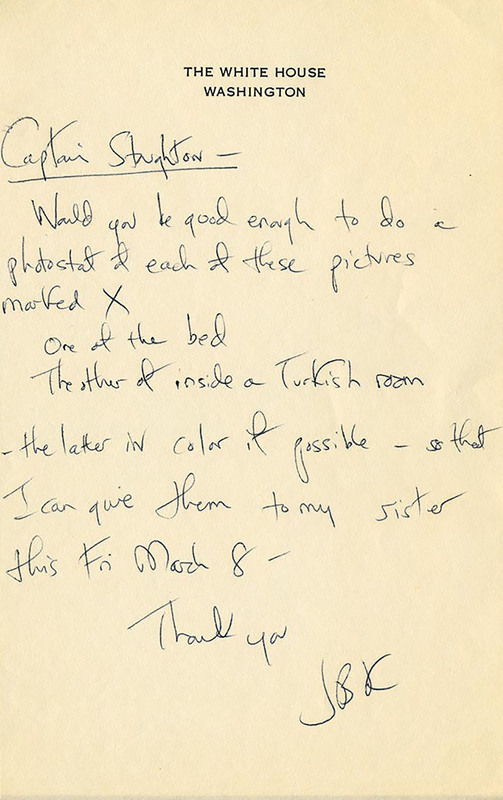 On another occasion, Mrs. Kennedy left Stoughton a similar note asking him to make copies of several photographs she wanted to give to her sister. (Photos and letters from the collection of JFK's White House photographer, Cecil W. Stoughton.) 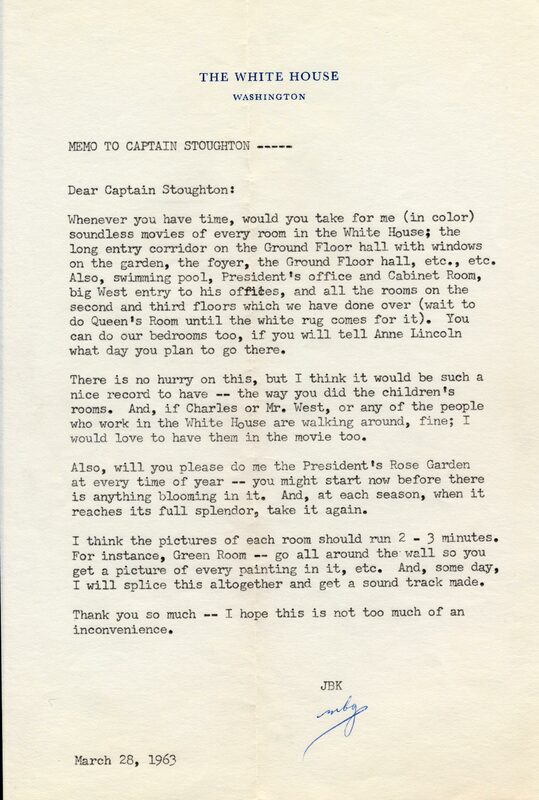 In this typed memo to Stoughton, dated March 28, 1963, Mrs. Kennedy details a number of movies she would like him to make of various rooms in the White House. 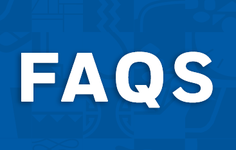 She ends by thanking him and saying she hopes the request "is not too much of an inconvenience." (Photos and letters from the collection of JFK's White House photographer, Cecil W. Stoughton.) 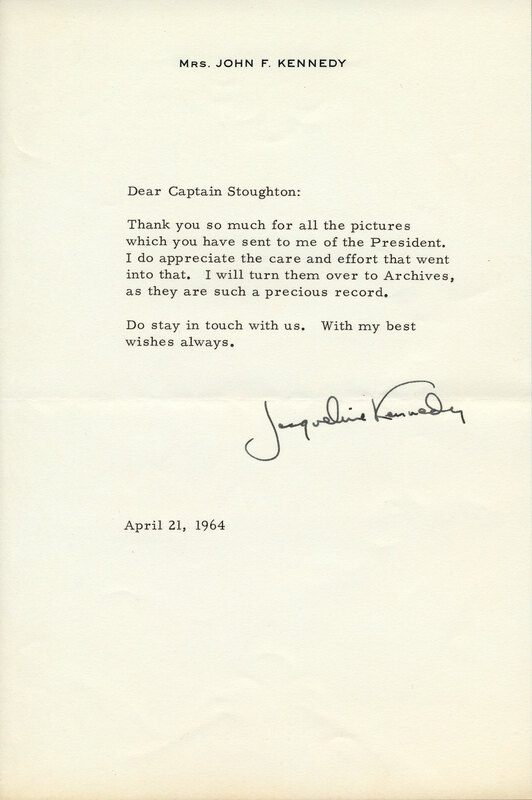 In this letter dated April 21, 1964, Mrs. Kennedy thanked Stoughton for sending her a collection of photographs of President Kennedy. (Photos and letters from the collection of JFK's White House photographer, Cecil W. Stoughton.) In this letter dated August 1, 1969, the former first lady wrote to Stoughton "Your loyalty ... has meant so much to me and ... I am grateful for all you have done for our family." 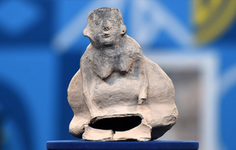 It was signed "always affectionately, Jacqueline Kennedy Onassis" — the name she took in 1968 after her marriage to Aristotle Onassis. (Photos and letters from the collection of JFK's White House photographer, Cecil W. Stoughton.) In this letter dated December 11, 1979, Mrs. Onassis thanked Stoughton for sending photos he had taken during the October 20 dedication of the new John F. Kennedy Presidential Library in Boston. 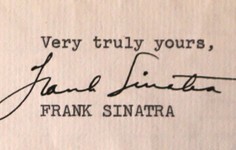 The letter is signed simply "Jackie," with a handwritten note, "I hope you have the happiest Christmas and New Year." (Photos and letters from the collection of JFK's White House photographer, Cecil W. Stoughton.) 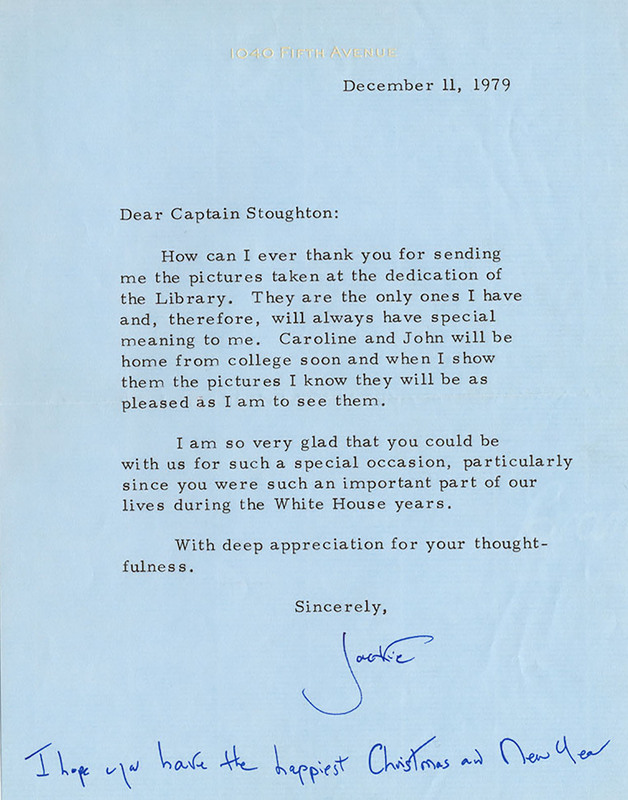 In this letter dated April 13, 1993, Jackie thanks Stoughton for a collection of slides he had sent her documenting a trip to India she had taken with her children, Caroline and John. 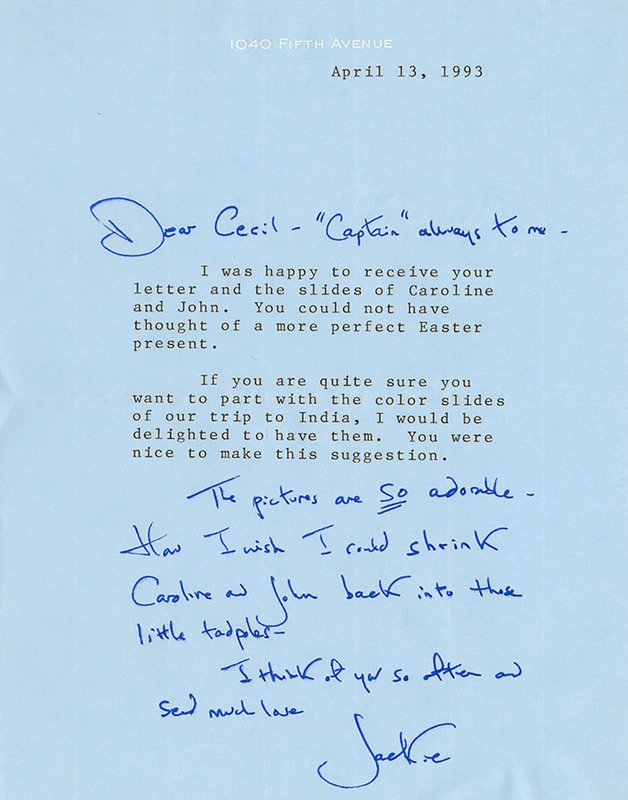 To the bottom of the letter she added a special note: "The pictures are so adorable — How I wish I could shrink Caroline and John back into those little tadpoles — I think of you so often and send much love. Jackie."